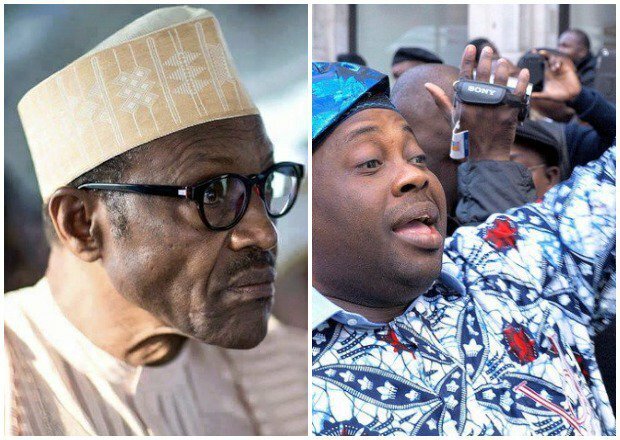 ​Publisher of the Ovation Magazine and former Presidential aspirant, Dele Momodu has given interpretations to recent comment by an All Progressives Congress chieftain, chief Bisi Akande. Akande during a meeting of the South West leaders of the ruling party had made it clear that there was no automatic ticket for President Muhammadu Buhari. Reacting to the matter in a long article he shared on social media yesterday, Momodu pointed out that Yoruba leaders are preparing a former governor of Lagos State and national leader of the APC, Asiwaju Bolaji Tinubu for presidency come 2019. He said the decision is borne out of frustration, adding that the Yoruba leadership will no longer support any other tribe for presidency. Part of his article reads, “What Baba Akande has not said is simply that the days when the Presidency would be voluntarily zoned to exclude most sections of the country in favour of another section, whether the candidate presented and supported by the people is competent or useless, are over. “The truth is zoning never worked anyway, as some Presidential candidates left their original parties for other parties in defiance of the zoning formula of their own party. “Without mincing words, it is obvious that the Yoruba leadership has decided it would no longer support other tribes, zones or regions to attain to power to the exclusion of their tribe. “They would rather work hard, reach out, and join hands with like minds to get power. “Their decision is borne out of the acute frustration and disappointment that makes them feel cheated about the Nigerian configuration which does not throw up the best but regularly favours the dregs of society who have only contributed to drawing Nigeria backward, in most cases. “The campaign has probably started in earnest, culminating in the search for a Yoruba Presidency. “Though the Governor of Ekiti State, Dr Peter Ayodele Fayose has controversially but ceremoniously thrown his hat into the ring, it is the fact that the capo di tutti capi, Asiwaju Bola Ahmed Tinubu, may be warming up for his turn to take a major shot at the race of his life that is most significant. “Mark my words. One of the greatest political strategists in Nigeria, Tinubu is tired of being a kingmaker and he would rather be the king. “Indeed, that has always been his ambition but this has been largely curtailed by circumstances. “Like many of those who supported Major General Muhammadu Buhari to attain power, after so many attempts, the former Senator and former Governor of Lagos State, feels he’s not gotten the respect and relevance he deserves for his monumental effort. Accordingly, he seems determined to make a personal push.